The GEN IV continues the Magma™ legacy offering the most standard features in the industry. 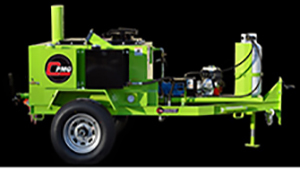 From the quiet gull-wing engine enclosure to the SuperFlex III heated hose and heavy-duty material pump, the GEN IV sets the standard for melter/applicators. We sell the full line of Cimline products. Call today for more information and a price quote! Comming soon!!! 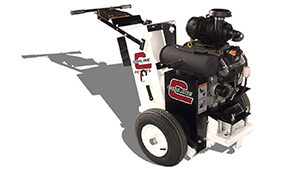 The New C1 On-Demand Combination Machine for Crack Sealing and Mastic Patching!!! Engineered for comfort and control, the R-3 Router provides smooth power with minimum vibration. Adjustable shock-mounted handles designed for operators of any height. Simple Start-Up and Operation. 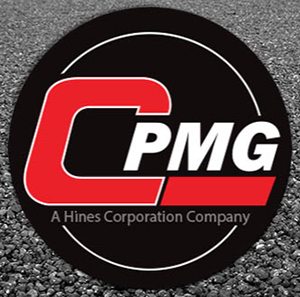 CIMLINE's PCS-25 Pavement Crack Saw delivers unmatched production and superior maneuverability in random crack sawing. Only the smooth cutting power of a diamond blade gives operators the control and power they expect from a crack saw. 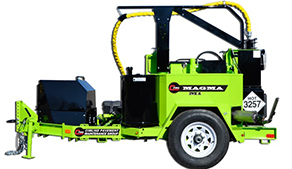 Cut through asphalt and concrete with optimum control. All the features of larger models with a single axle for easy towing. 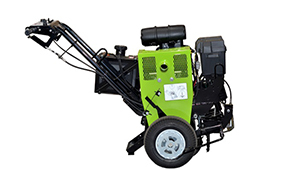 This is the melter that fits most municipal applications. 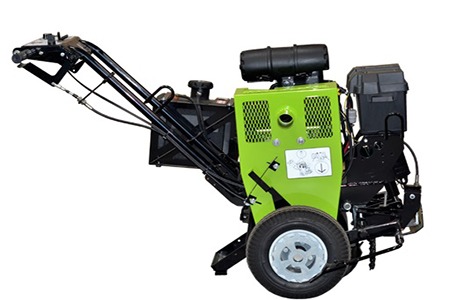 Enough capacity for larger crack sealing jobs and versatile enough for contractors to complete smaller parking lot and driveway projects. Also available with integrated air compressor. Digital Flow Control- Provides smooth, even material flow no matter what volume or sealing tip is required. Auger/Agitator- Ensures even mixing and eliminates temperature stratification in the tank. Unobstructed Internal Machine Recirculation ensures super fast heat up and recovery times. Simple Seal Controler- Simple-Seal is the next generation of digital control providing the easist operation yet. Simply set the mode switch to “RUN”. When the (3) Green LED’s come on, start working. At the end of the day set mode switch to “CLEAN OUT” run for 2 minutes and set mode switch to “OFF”. The control box never needs to be opened for normal operation. Easy-To-Read Gauges- Standard on all MAGMA GEN IV models are the newly redesigned 33 gallon diesel and hydraulic tanks. Each tank is equipped with easy-to-read fuel and hydraulic temp/level gauges for ease of use and maintenance. New "No-Drip" Ergonomic Wand- The robust aluminum design makes crack sealing an easier process. A special ball valve is located at the tip to virtually eliminate dripping between cracks. Our most popular model, the 230 can handle most road maintenance projects. With available features like a built-in compressor and double wand options, this melter/applicator becomes the "Cadillac" of crack sealers. 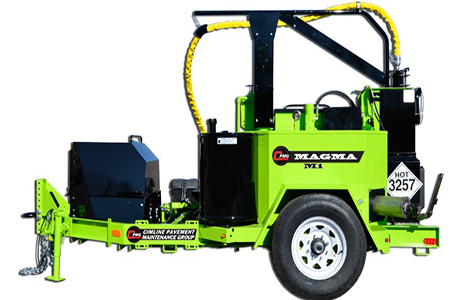 The MAGMA M-2 230DH is the workhorse of the industry. 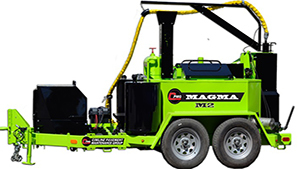 With 230 Gallons, dual loading doors and tandem axles, the 230 MAGMA gets the job done. Easy-To-Read Gauges- Standard on all MAGMA GEN IV models are the newly redesigned 33 gallon diesel and hydraulic tanks. Each tank is equipped with easy-to-read fuel and hydraulic temp/level gauge for ease of use and maintenance. No job is too big for this high capacity melter. The oblong tank and agitator design produces consistently melted sealant for high production jobs. Also available with integrated air compressor. 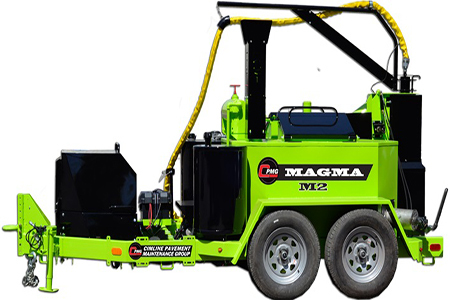 The MAGMA M-4 is the biggest/ baddest melter in the industry. With 410 Gallons, dual loading doors and tandem axles, the 410 MAGMA puts the product down. Cimline puts the latest technology to work with a new Tack Kettle for high performance and reliable heating and application of bituminous emulsions and tack coats. This compact unit employs a unique S-shaped single flue design that offers even, energy-efficient heating. This allows our 40 lb. propane tank to last twice as long as units with the same tank size and ensure all day operation. 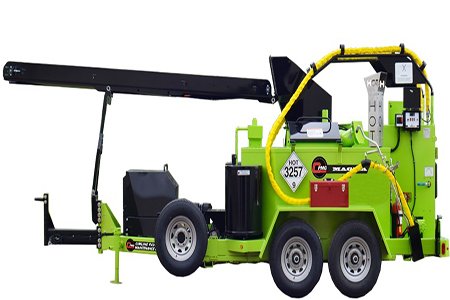 Operator features include a 36” x 32” maintenance hatch for easy clean-out, 50-feet of retractable hose, a lightweight spray wand and large solvent flush box. This easy-to-use kettle rides on a torsion axle with electric brakes for long term, low-maintenance operation. 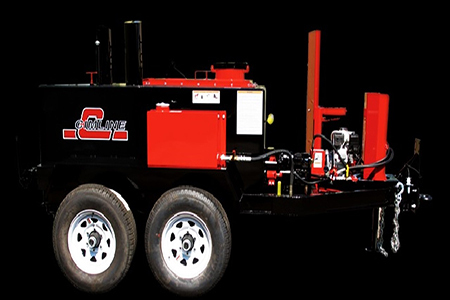 You know Cimline’s leading crack sealing melter/applicator advantages for municipalities and contractors. Now discover how new technology makes better Tack Kettles for everyday operation. Choose gravity feed or direct drive hydraulic pump. Rugged 7 gauge steel tank available in 250 or 500 gallons. Reliable 5 hp Honda gas engine. Optional folding spray bar allows an 8-foot swath to be covered in one pass. Fold one side up to cover smaller areas. Hand valves at each nozzle allow the operator to adjust the spray width in one foot increments.